Deep breath… Okay, I’m ready. Happy Father’s day to everyone! But I would like to take this Father’s day do something that I can’t even remember the last time doing. I would like to say Happy Father’s Day to my father. Since I was 9 years old, I have had issues with my father for leaving me and my brother for his new wife and moving across the country to Florida. He promised he would keep in touch but never did. I changed my last name from Hicks to Strong because I felt he no longer took a stake in my life. Then, out of nowhere, he showed up in my room on a random summer day when I was 13 years old. I cried my eyes out, jumped out of bed, and hugged the hell out of him. I missed him. I loved him. (I am beginning to tear up as I write this) He apologized for leaving me the way he did. He told me that there were GOOD reasons that I was too young to understand. He took me shopping, got my ears pierced, bought me some clothes, and hung out. I felt like a kid again. I had my father back. (I am in complete tears right now as I type) He promised that he WOULD stay in contact with me from that point on and we exchanged e-mails and phone numbers. We kept in contact for about a month. But after that, he stopped replying to my e-mails and never called me back when I left voice-mails. I was absolutely crushed. I didn’t know how to process this kind of pain from someone over and over again. But instead of spending my life in pain, I (unknowingly) dedicated my life to making sure children never felt the way I did. I believe this had a lot to do with the way I relate to and deal with youth. I tutored freshman when I was a senior, coached youth sports, supervised youth summer camps, and decided I wanted to become a teacher. For years, I thought the pain was gone. But every time I was asked of my father, I changed the subject. Every time I was FORCED to talk about my father, I became frustrated, rude, or nearly cried. So the pain wasn’t gone… It was hidden deep. A few years ago, my father found me on facebook and tried to talk. I spoke briefly, but the pain wouldn’t allow him back in my life. The idea of past pain was not what I wanted in my present. A few years after that, he tried again, this time asking for forgiveness. I could not do so. I was not ready. Today, I still do not know if I am ready to forgive my father, most likely because he has yet to explain why he did what he did. But what I am ready to do is, on this day, put the bad aside and remember the good. Remember the times he went to empty parking lots and let me drive his car. When he would read me and my brother bed time stories in the dark with a flashlight. When he would take me to the recreation center to play basketball. When he would let me watch him make music and ask my opinion of new songs. When he would swerve the car and stop abruptly at random times, because he knew I thought it was funny. These are memories of my father that I have that are pleasant. And instead of taking the time out of Father’s day to proclaim my mother as the true care provider for my life and achievements, I will take this time to wish my Father well. Because, though I have yet to forgive him for leaving and trying hard to stay in my life, I CAN recognize the moments when he DID try, and when he WAS there. 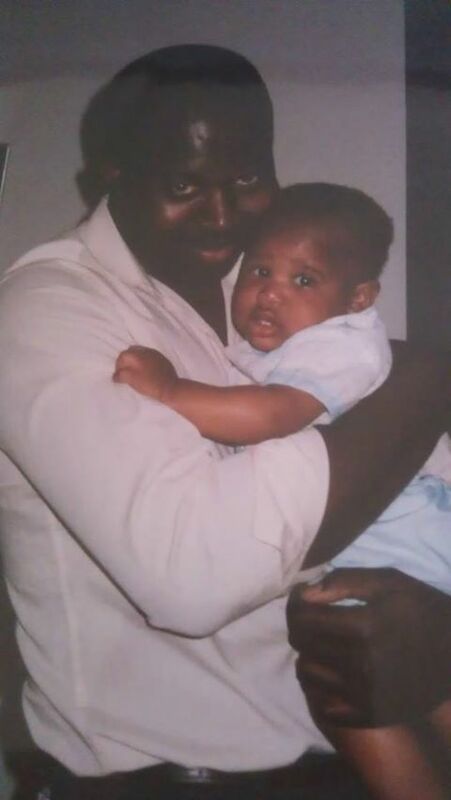 So, Happy Father’s Day to you, Cecil Hicks, my father. And I will not only say this to facebook, but I will say this to him, for the first time, in a long time.